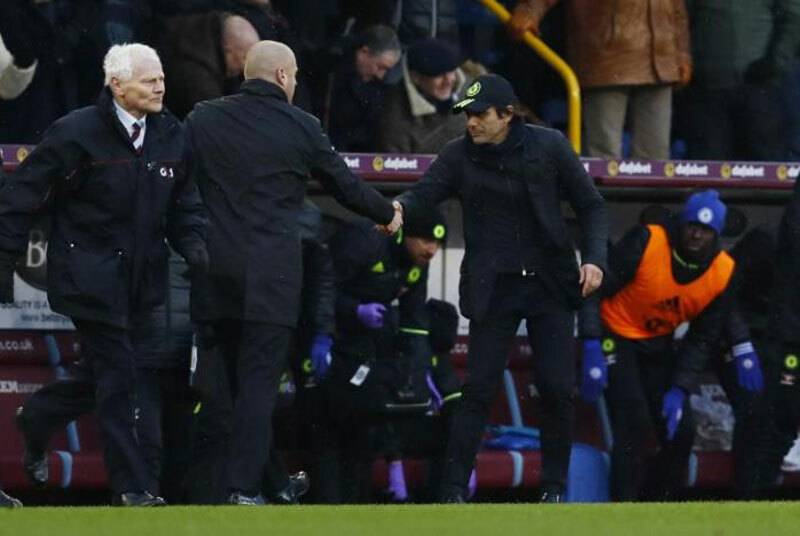 Premier League leaders Chelsea moved 10 points clear at the top on Sunday despite being held by Burnley in an entertaining game played amid flurries of sleet and snow. Pedro gave Chelsea an early lead from a pass by Victor Moses but the home side fought back well and equalised midway through the first half with a superb curling free kick by Robbie Brady, making his full debut. 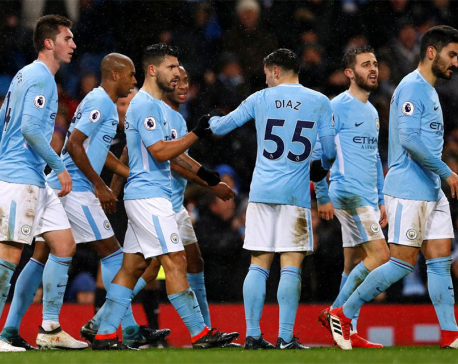 Matt Lowton and Andre Gray missed good chances as Burnley sought to maintain their impressive home record, while the defence restricted Antonio Conte's side who could have their lead cut to eight by Manchester City on Monday. Burnley, promoted last season, moved up one place to 12th and fully deserved a point for their spirit and quality. They have earned 29 of their 30 points this season at home. "We must be a bit disappointed to take only one point," Chelsea's manager Antonio Conte told Sky Sports. "We started well and kept the situation under control. We could have killed the game but it didn't happen." His team dominated possession but managed only two shots on target all match, the second of which was the goal. It came in only the sixth minute from a classic counter-attack beginning with a throw-in deep in their own half. Pedro was involved before Eden Hazard found Moses in space on the right and his cross took out four defenders, allowing Pedro to beat goalkeeper Tom Heaton. 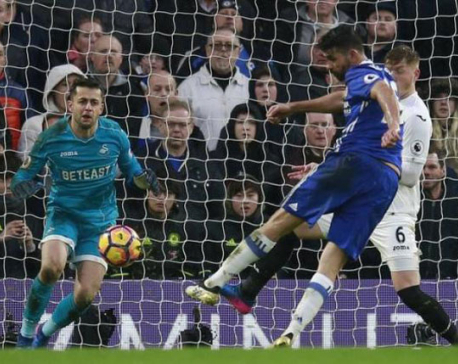 The equaliser was believed to be the first goal Chelsea had conceded from a direct free kick in four years. Brady, a £13 million pound ($16.24 million) signing from Norwich City in January, curled his effort perfectly over the wall and into the top corner of the net from 20 metres. Burnley could even have taken the lead when Thibaut Courtois had to save with his legs from full back Lowton. In a quieter second half striker Gray also missed a good chance, shooting weakly at the goalkeeper. The Lancashire side could not manage a first league win at home to Chelsea since 1983 but their supporters, players and manager were delighted with the performance. "The lads were excellent and it shows what they're about," goalscorer Brady told Sky Sports. Manager Sean Dyche said the result was a reward for bravery. "The mentality is the main thing I'm pleased with," he said. "We wanted to do what we do. For the first 20 minutes we couldn't get it right, but I was super-impressed with the reaction to their goal. "You're taking on a fine side and we limited them to two efforts on target."